Styleforfree.com–The Web's Most Stylish Savings. Online Shopping Coupons and Promo codes for Fashion, Beauty, and Style. Shop The Spring 2019 Collection. The New Beek Summer Sandal Collection is here! 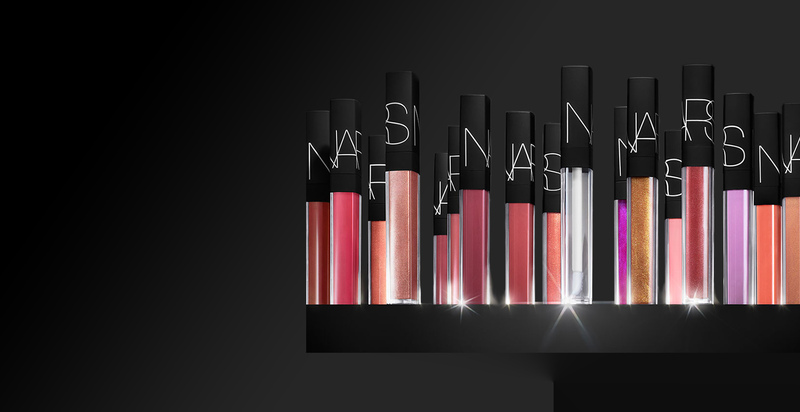 Introducing Multi-Use Gloss at NARS. Shop the Shades Now! LEGO sale: Free $10 gift card when you spend $50. Shark & Dyson on Sale. iPhone XS 64GB Gold: Free $250 gift card with purchase. Offers valid 4/14-4/20. Mid Season Sale: 20% off Hundreds of Men's and Women's styles through 4/22. Get a Travel Size Aura Botanica Shampoo & Conditioner & Shipping ($45 value) with Orders of $85! Use promo code: EARTH19. Valid 4/18-4/22 (7:00 AM EST). The eggstra sale! All dresses, shorts, tees & polos 50% Off. Restrictions apply. Ends 4/20. Take an extra 20% off select styles at Nike.com with promo code: SAVE20. Valid through 4/21. Take 40% Off Almost Everything + Additional 40% Off Sale Styles Online! Valid through 4/24, no coupon required. Secret Sale! Extra 20% off sale items only. Use promo code: SHH20 at checkout. Valid 4/16-4/19. Save an Extra 15% on select Hinkley Lighting with promo code: APR15AB, Plus Earn Free Shipping. Offer ends 4/30. Shop Now! 30% OFF VACATION STYLES. Use promo code: GETAWAY. Valid from 4/17- 4/23. Sandals Up to 30% Off + Rewards Exclusive: BOGO ½ off and Free Shipping. Shop In-Store and Online. Ends 4/22. Garage Sale - Free Express Shipping with Amazon Prime. Sam Edelman Starting at $35. Hurry! This event only lasts 72 hours. Shop Now! 48% off any refurbished item in stock plus free ground ship (Exclude Clearance items and E5440 models). Valid through 4/30. Day Dress Styles for Spring ft. Madewell, Lush, Ted Baker, and More. 1,800+ Styles up to 66% Off! Shop Now! to rustic fusions of fabric and metal. Buy any two Melted Lipsticks get a free Melted Transformer. Excludes Melted Latex. Get to know the visionary designers at the forefront of fashion. Sacai. Simone Rocha. TRE by Natalie Ratabesi. Acne Studios. Alexander Wang. Calvin Klein 205W39NYC. Mid Season Sale - up to 50% off selected lines! The new Casino collection doubles down on '70s & '80s glamour with 14-kt. gold & diamonds, including scene-stealing exclusives. Shop New Spring Scents like Greenwich Village, Spring Fling, and Layfayette Street. Get Comfortably Numb with the HD1 Edition Pink Floyd Wireless Noise Cancelling Headphones for $299.95. Shop Now! with purchase. See site for details. Offer ends 4/30. Luxury Watch Sale. Up to 30% off watches by Omega, Rolex, and Raymond Weil. at up to 30% Off! Shop the new Glass Glow Face and Glass Glow Lip! Get a glassy-finish with this multi-dimensional gloss for face, body and lips. Score 50% off all lip products! for a Limited Time! Offer ends May 12. Shop Now! Shop New 2019 sunglasses at Sunglass Hut for Free shipping and Easy returns. Luxury Sleep at Affordable prices. Save 5% with coupon code NEST5. Shop Now!